Most IMPORTANT: It’s enriched with Gano (more on that below). 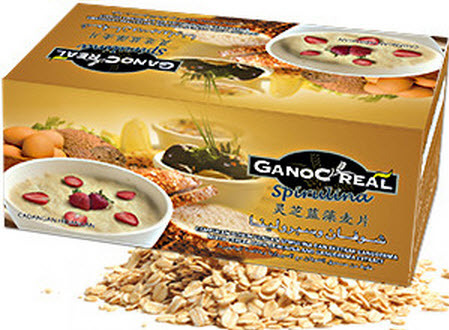 When you use toothpaste, it goes into your saliva, which is one of the fastest ways to deliver something into your bloodstream – so by using Gano Fresh Toothpaste, you are getting very fast, efficient delivery of Ganoderma into your bloodstream. Gano Fresh Toothpaste tastes great – it is a gel toothpaste with has a minty taste so refreshing that it just makes you want to smile… naturally! 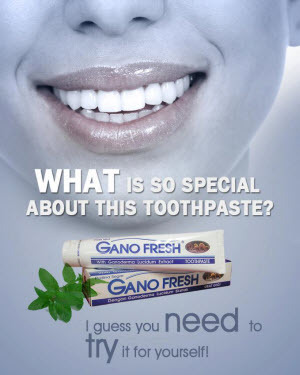 Gano Fresh is less abrasive than ordinary toothpaste – so it is mild on tooth enamel and gums – while still being able to get down and deep clean your teeth, gums and mouth. Can one toothpaste prevent gum disease, tooth decay, bad breath, and cavities and keep you smiling while it does it? It can if it’s our Gano Fresh toothpaste (or tooth gel) from Gano Excel. Why? 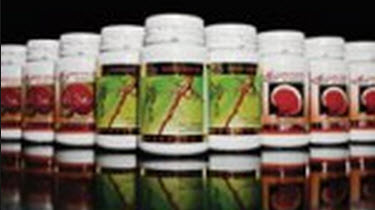 Ganoderma Lucidum has more than 200 trace elements – and studies have shown that it’s anti-bacterial and anti-fungal. I have struggled with gum disease for quite some time – it’s hereditary for me. I’ve spent more time with periodontists than I’d like to say. In the past, I’d dread the time when I had to get my teeth cleaned because there were always some new deep pockets somewhere in my gums. Gano Fresh costs more than toothpastes you’d buy at the store – but the money it has saved me in periodontal bills makes it seem like a literal drop in the bucket! Give it a try… I am pretty sure you will be VERY pleasantly surprised! p.s. We’ve had a few dentists discover this and buy over 15 tubes at a time so their patients could use it! 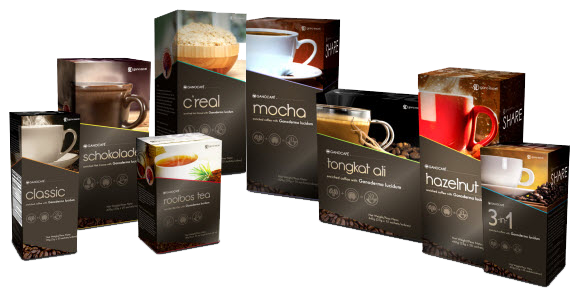 Ganocoffee 3 in 1 is rich in caffeine? Where can I’get gano toothpaste in Yangon?